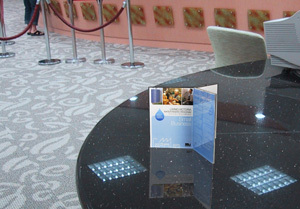 Table talkers; A5 Perspex Stands. Clear Acrylic- Buy Online NOW! Table talkers such as these perspex stands have the advantage of showcasing info or a menu list from your business in an instant. 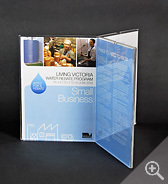 These Perspex stands are produced with 3mm thick folded clear acrylic- perfect for any busy restaurant or service desk. Any high traffic area where you need advertising will benefit from having this unit on display. 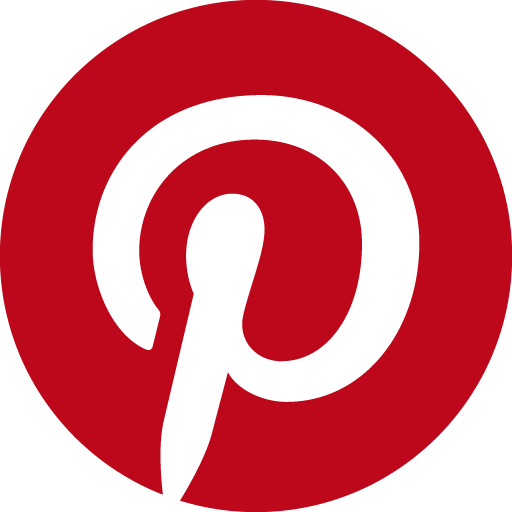 The table talkers are easy to clean and can be updated at any time with ease. 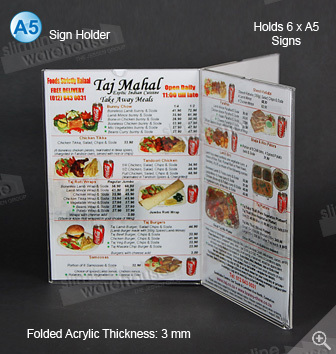 The table card holder or menu stand holder can be displayed on tables to display your menu or it can be display next to products within your store to help showcase features. Professionally displaying information couldn’t be easier- each window can be updated by sliding posters through the side of the sign holder. 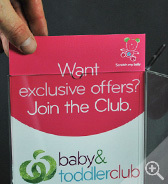 You can display up to 6 different A5 posters on this sign holder- try fitting that on one desk without this unit! 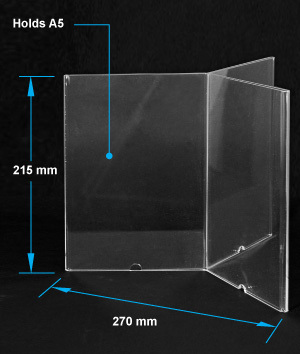 We stock a massive range of display products- for more products like this one, take a look at the Counter Sign Holders and Acrylic Displays pages for a comprehensive range. Note that we ship our products to Australia wide and despatch from our warehouse on the same day if you make your order before 1pm AEST.